Wonderful 4 bedroom house has been freshly painted, new carpet in bedrooms and electric upgraded. Equipped kitchen.All new windows installed throughout the house! **Seller says to bring an offer. They are willing to work with buyer to resolve any issues arising from a VA or FHA appraisal. 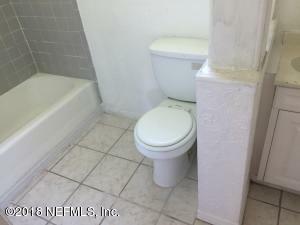 ** House is wheelchair accessible with a ramp from driveway to front door. The hall bath has been modified to permit wheelchair access.Laundry/utility room is conveniently located off the rear patio.Note:One of the bedrooms does not have a closet. This home has been on the market since Mar 04,2018. Courtesy of FLORIDA HOMES REALTY & MORTGAGE LLC.